- The high penetration phase that inevitably addresses how power systems operate over longer periods of weeks or months when variable generation will be in either short supply, or over-abundant supply. 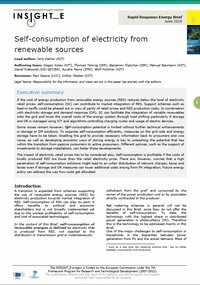 This present study provides views on the cost of electricity for large industries, split down by components (electricity purchase price, network charges, and state-regulated components) and by consumption level. 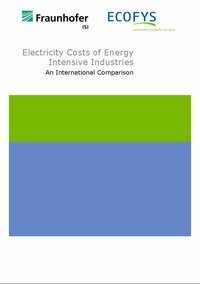 Thir report examines in detail, the composition of electricity prices in Germany and ten other countries: the Netherlands, the United Kingdom, France, Italy, Denmark, Canada, the United States, China, Korea and Japan. The report will be usefull as input to the IndustRE project for the identification and quantification of the amount of electricity demand flexibility of industries. A report developed by the Insight_E project discusses the potential and barriers for self-consumption of distributed generated electricity. In order to fully use the benefits of self-consumption, further development on the grid side, such as demand response and energy storage must take place. Within the scope of the IndustRE project, self consumption and flexible demand are also considered one of the many possible balancing solutions to facilitate integration of variable renewables energy sources into the grid. However, it is crucial that the regulatory framework provides support for the usage of energy storage solutions and demand management to promote both technology development and self-consumption, while reducing costs. 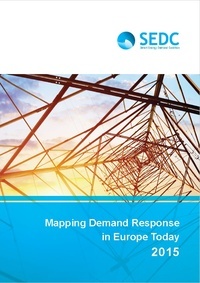 With this report, EURELECTRIC strives to explain what demand response and aggregation are and how technological developments and innovation would contribute to their deployment (Part 2). 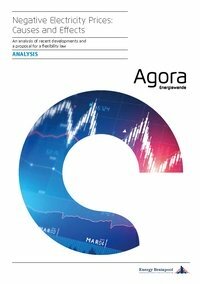 Part 3 assesses the different market models that can be put in place to ensure the development of demand side flexibility as well as the impact of demand response aggregation actions on other market parties in a context of missing contractual and operational relationships. 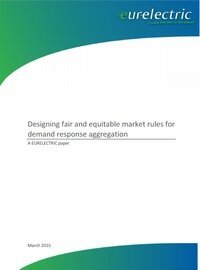 Part 4 proposes different options for such contractual and operational relationships between actors as a way to close existing loopholes and ensure that costs and benefits of third party demand response aggregation are allocated correctly. Finally, the paper makes a number of recommendations, based on the advantages and drawbacks of the various options considered. Capacity markets are market-based solutions that deliver long-term system adequacy by properly valuing reliable and firm capacity and thereby providing signals for necessary existing capacity to stay online or new capacity to be developed. 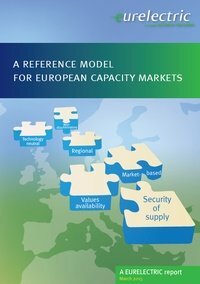 With this paper, EURELECTRIC presents capacity market design principles in order to establish a reference model of how European capacity markets should be designed. 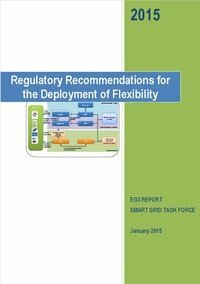 This report has been prepared by the Expert Group 3 (EG3, 'Regulatory Recommendations for Smart Grids Deployment') of the Smart Grids Task Force and it aims at providing concrete recommendations for removing regulatory barriers and incentivising the uptake of flexibility from distributed resources. The report seeks to identify flexibility services, relevant value chains, but also the necessary commercial and market arrangements, while it answers the question on how different actors can be incentivised to provide and use flexibility. The IndustRE project is pursuing similar objectives for maximising the potential of demand flexibility from large industrial consumers. 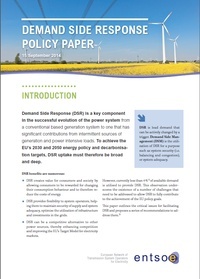 Demand Side Response (DSR) is a key component in the successful evolution of the power system from a conventional based generation system to one that has significant contributions from intermittent sources of generation and power intensive loads. To achieve the EU’s 2030 and 2050 energy policy and decarbonisation targets, DSR uptake must therefore be broad and deep. This report addresses the issue of negative electricity prices and identifies their cause as the lack of flexibility in the electricity system. 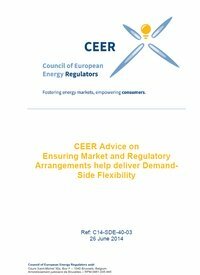 It recognises that lack of flexibility burdens consumers in the form of an increased renewables surcharge and proposes that regulators must also act in order to insist on more flexibility. One of the main conclusions it that without a significant increase in the flexibility of power plants and large consumers, the hours with negative electricity prices will increase drastically. This is of valuable input to the IndustRE project at the moment we shape the business models and market barriers for system flexibility. 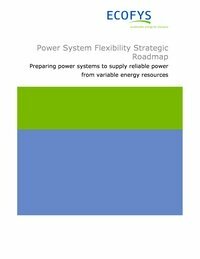 This advice paper is designed as input to advance the ongoing discussion about the scope, players and benefits of demand-side flexibility from both a network and market perspective. This work is part of an ongoing process that should contribute to assistance for National Regulatory Authorities (NRAs) and EU Member States (MS) on how to encourage the participation of demand-side resources in their markets and networks. It also sets out regulators’ views on the high-level principles which should govern demand-side flexibility and allow it to be facilitated at the wholesale, network and retail levels.